Pattern matching algorithms are used in several areas such as network security, bioinformatics and text mining. In order to support large data and pattern sets, these algorithms have to be adapted to take advantage of the computing power of emerging parallel architectures. 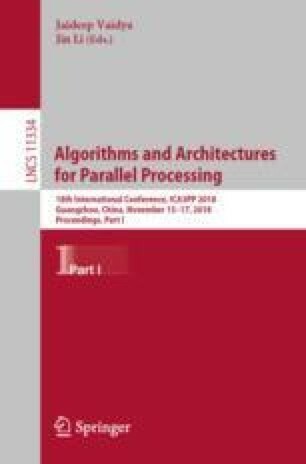 In this paper, we present a parallel algorithm for pattern matching on CPU-GPU heterogeneous systems, which is based on the Parallel Failureless Aho-Corasick algorithm (PFAC) for GPU. We evaluate the performance of the proposed algorithm on a machine with 36 CPU cores and 1 GPU, using data and pattern sets of different size, and compare it with that of PFAC for GPU and the multithreaded version of PFAC for shared-memory machines. The results reveal that our proposal achieves higher performance than the other two approaches for data sets of considerable size, since it uses both CPU and GPU cores.